Belgium Block is a great decorative landscaping stone that is frequently used for edging, low walls, and as a paver for pathways and mailboxes. Belgium Block is a natural stone and is often hand cut to provide the unique shape for each block. Looking for Belgium Blocks near Shrewsbury? 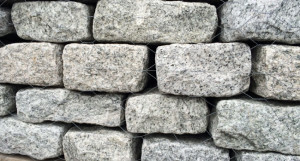 Stop by Petruzzelli Bros. for all your belgium block and landscape supplies in Monmouth County. 2019 Copyright Petruzzelli Bros. Designed by A Digital Kingdom.